The time to break away from old ways is right here, right now. Ty Bennett can help you truly design a team and a workplace where eagerness replaces apathy. Where teamwork is alive and well and building momentum for your organization. Where INFLUENCE grows within every member of your team, from the corner office to reception and everyone in between. 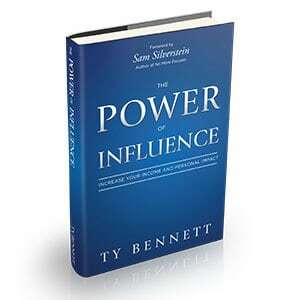 Invite that kind of growth into your business today – book Ty Bennett.